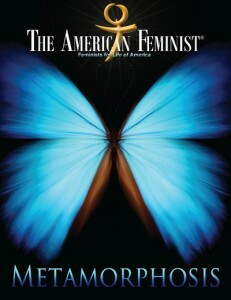 “Metamorphosis”, a 36-page issue of The American Feminist®, gives insight into why people become pro-life feminists — after being one or neither. FFL President Serrin Foster explains why “individual evolutions can start peaceful revolutions” and provides practical tools to help welcome more people to our peaceful, holistic, solution-oriented movement. Serrin also reveals the stunning truth you need to know and share about attorney Sarah “Weddington’s Betrayal of Women” when she argued in support of Roe v. Wade before the Supreme Court. Stories from a dozen women will inform you about what triggered their conversions — including FFL’s own Vice President Sally Winn and FFL Editor and Speaker Jewels Green, who was pressured into an abortion as a teen and subsequently worked in an abortion clinic for years before her “A-ha” moment. “Metamorphosis” is available for purchase individually or in bulk.